The menu bar doesn't work with any application and the unity launcher doesn't respond. In addition, I can't close a window with ALT+F4 (it works with CTRL+Q, though). But it gets weirder. If I start a session with a guest user, everything works just fine. I've tried what they say here: Unity doesn't load, no Launcher, no Dash appears, but without success. 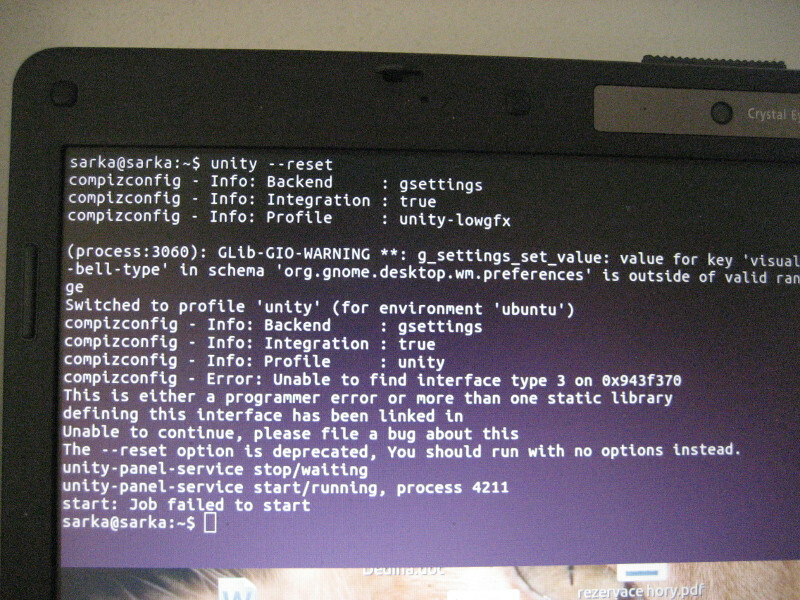 The Compiz settings manager installs and runs fine, but I noticed that there is no checkbox next to the Unity plugin icon. Any idea what this can be and, above all, how can it be solved? Thanks in advance. Had this exact problem on vanilla Ubuntu 16.04 after a recent update. I just renamed the .cache folder so it would make a new one. This is a bit of a sledgehammer approach, but it worked for me. Not the answer you're looking for? Browse other questions tagged unity launcher compiz or ask your own question.